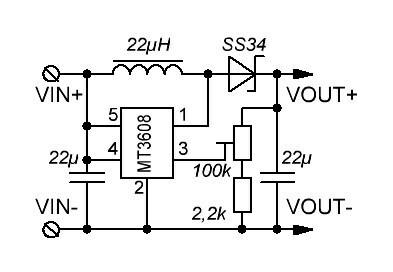 Dc to DC Step up converter module based on MT3608 IC. Can be used for applications requiring up to 2A current. Connect the positive of input voltage to IN+ and negative of input voltage to IN-. 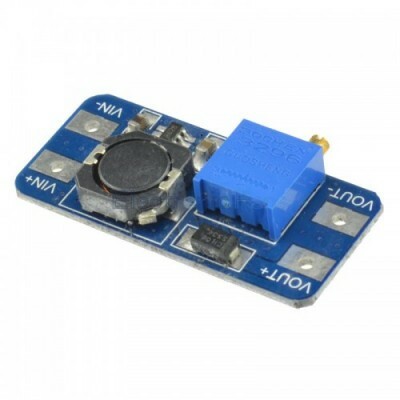 Adjust the on board potentiometer to acheive the desired level of output DC voltage. Always make sure that output voltage is higher than that of input voltage.